Former President Mahinda Rajapaksa’s chief of security, Major Neville Wanniarachchi, arrived at the Criminal Investigation Department today to give a statement. Previously, the Colombo Chief Magistrate ordered the CID and the FCID to investigate Major Wanniarchchi for alleged fraud and corruption. MR, MR;s Spuse, Yoshitha, Namal, Gota, Basil they all go to FCID enjoy a cup of tea and come back. Media give a publicity. So far no one in prison and/or punished. Voters in SL still waiting. Isn’t this a fantastic circus? The R family members are frequently called upon by FCID / CID whatever they call themselves, frequently and they get free mass media publicity. Nothing has happened. Since Jan 2015, not a single citizen has been charged in courts and found guilty of corruption, money laundering etc. This Yahapalana purists are duds roaming in the desert to find morsels. The R’s I think are far intellectually and strategically SUPERIOR to the Sena-Singhe Government. Sri Lanka is so much corrupted I don’t think that they will come out of it. This is a Buddhist country. Almost all the members of the parliament spend there time in temples. Hope it want be a failed state. Fraud, corruption beyond belief. 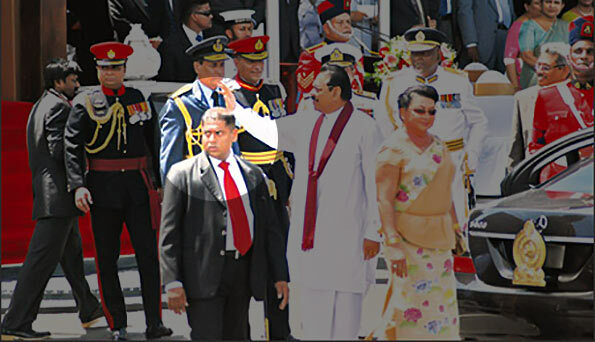 These Rajapaksa , dont they have any shame. No wonder every body in Sri Lanka want to leave the country.